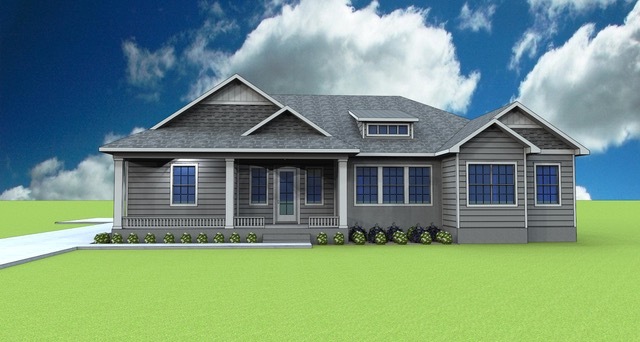 Craftsman style two story home with Hardie lap siding, and a large covered front porch. This home has 4 bed rooms, 4 bath rooms, a den, lots of indoor storage space and a mudroom. Walk out under the Covered breezeway to a 3 car garage and through a second covered breezeway to a guest house, complete with a guest bedroom en suite with a living area and walk in closet, indoor utility room, storage space, an open kitchenette, and sunroom. This is an open floor plan with a large kitchen island.